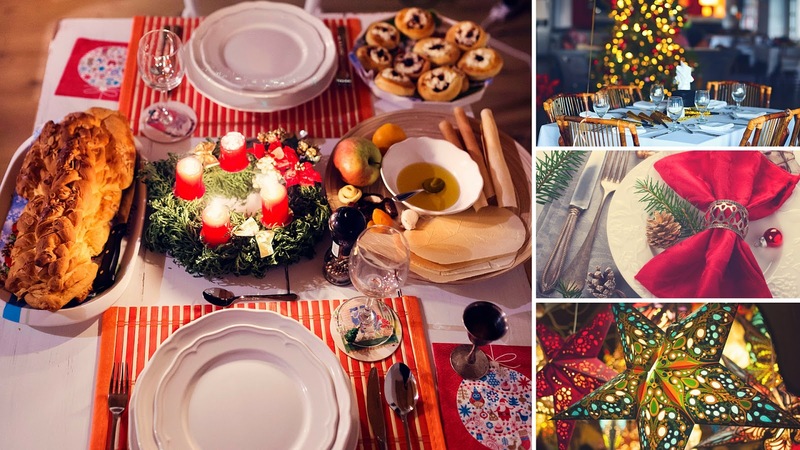 Planning an end-of-year get together at work s a special occasion in the holiday calendar. It allows staffs and management to let their hair down for a night and share some stories about the work year that was; it’s usually an enjoyable event for all involved! There’s significant research to suggest that it goes a long way to build up team chemistry, integrate new members of the team and even boost employees’ productivity. This being the case, the Christmas party is something you want to get right and if it’s your job to organise this event, it’s worth giving some thought. If you’re unsure of an appropriate venue, this article might just help. 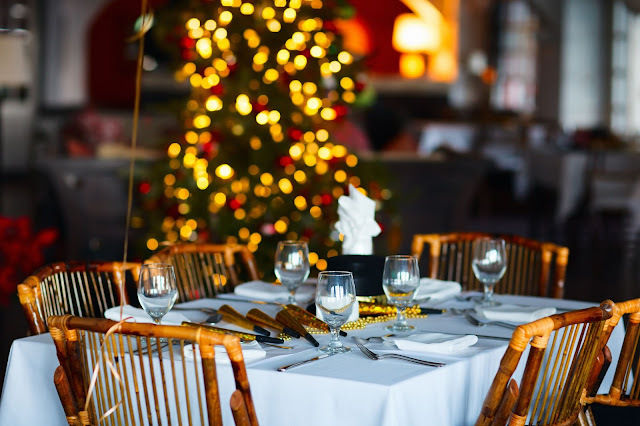 Many of the locations and venues that come to mind for a birthday party also work for the Christmas function; the difference is you usually have to keep more people happy. Check out the list below for some ideas. This is a little less popular in modern times, as but can make for a lovely night if you have a group that is comfortable and familiar with each other. Dinner can be served however some drinks and appetizers shindig is our recommendation. Catered home affairs can be a lot of fun however for this to work it does require that the host have a large home and entertainment area. If you have the budget for it we’d recommend having a catering company worry about food, open bar with bartenders and DJ or band/musician. Another option is to give the gathering a theme - Masquerade, Christmas, or Fancy dress-ups are all options. This is a low-risk venue option that generally works well with small to medium sized groups. Obviously a bit factor comes in the restaurant you choose - depending on how your group is you’ll generally want to book at a restaurant where you can have a chat, but that also has some atmosphere and a bit of background noise too. Some of the best Christmas parties are simple meals out, just make sure it’s a structured affair and it should be a success. After dinner those that want to can go hit the bars and keep the night going! Hiring out a private room in a restaurant, bar or function hall gives you the flexibility to make the party and the vibe however you want it to be. If you want to go down the costume, fancy dress path, have your guests dress to impress with a cocktail party theme or take on the Christmassy angle (complete with tree and mistletoe) you can. Make sure you pick out something spacious and be conscious of the budget. There are plenty of good function venues in Perth - do your research and you’re sure to find something that suits! The group activities that are appropriate depend entirely on the kind of business/company in question and the people who are involved. But the main idea is that you don’t need to go down the same path going to a restaurant or bar. Although these are great options and are always a lot of fun, don’t be afraid to go for something a little more unique and out-there. 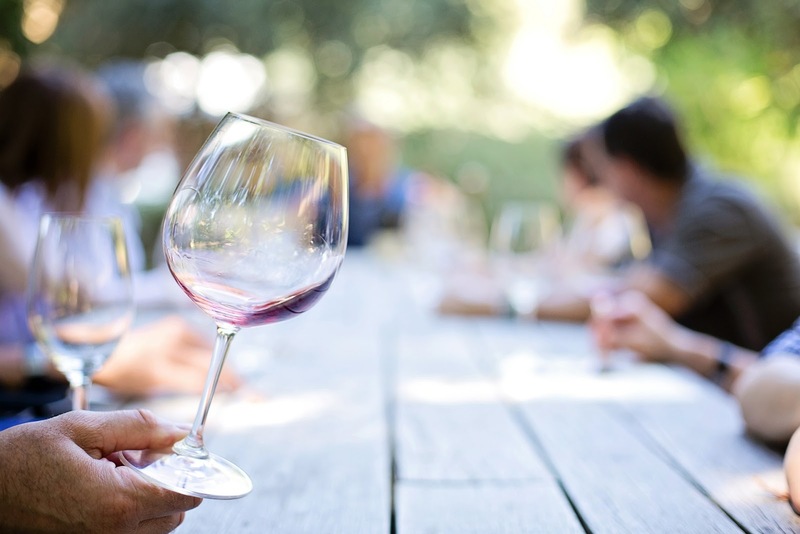 Organising a wine-tasting event visiting various vineyards is one example that we liked. Another is when a group of programmers at an IT company spent the day playing video game at the arcade. Others include pool parties, going to a show that is on in town, games-day or even a day at the races! 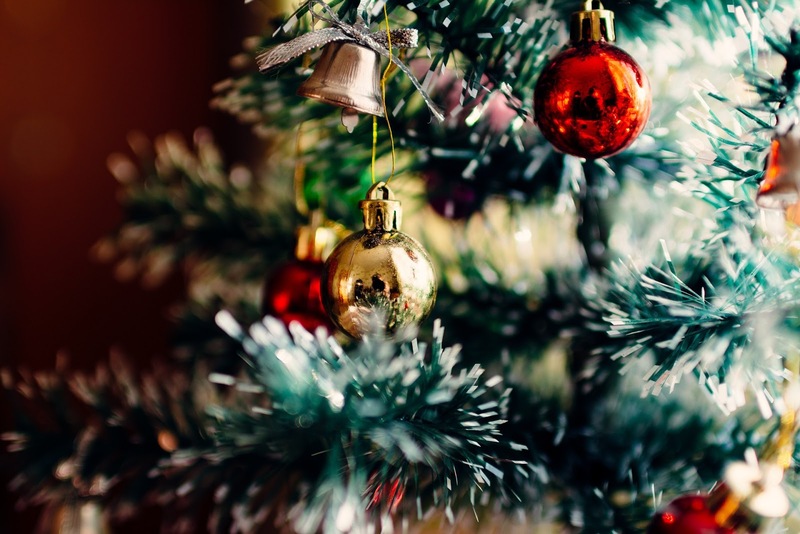 There are plenty of options when it comes to Christmas parties, give it some thought and you’re sure to come up with something that works for you. If you’re interested in hiring a private function room in Perth, find out what The Wembley Hotel has to offer by visiting our website. Perth is truly a special city and has a unique cultural identity that makes it quite different to larger cities on the east coast. Music culture has always been a big part of Perth, with many young musicians emerging every year and making a name for themselves. Big international names in the music scene are more frequently making their way out to the west to entertain this city’s dedicated festival-goers. But there is also something to be said for the city’s live music scene on the weekend. Whether you’re looking to chill out or get up and about there’s always something going on. 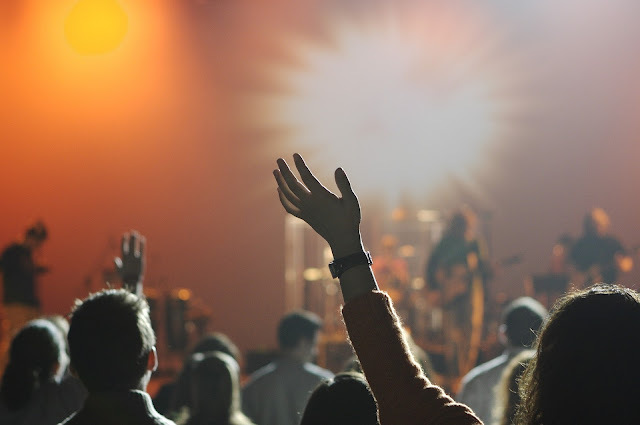 Let’s take a look at some of Perth’s diverse weekend spots and function venues for live music! No list of live music venues would be complete without a Jazz bar or two. Head on down to the Ellington late at night or even on a Sunday and enjoy good service, great food and some of Australia’s best jazz performers. Relaxed but lively, this spot is perfect if you want to hang out with a few friends and enjoy some good food and drink. The Sunday sesh is a Perth institution and this stalwart of pubs known as the Wembley Hotel has recently made a move to embrace it. Featuring up-and-comers and lesser-known artists in Perth’s music scene, the spacious bar and restaurant hosts intimate acoustic performers every Sunday afternoon to help you wind down the weekend in style. This cleverly venue is the perfect night out for lovers of contemporary rock n’ roll. Showcasing some of Perth’s best young unsigned talent, this Northbridge bar has recently been revamped with superior lighting and staging, giving patrons more impressive shows and adding more space. This place fills up during the weekdays too if you’re so inclined. The Bird is what alternative music is all about. It’s got a really quirky and friendly vibe and a fun crowd that isn’t in any way pretentious, so you’re bound to have a good time if you go along and check out its indie music offerings. The Bird’s managed to establish itself as one of the more trendy live music spots and attracts a constant flow of good artists as a result. It finishes up quite early on the weekends (midnight) making it a popular place for a few early drinks. Formally known as the Basement Lounge, this live music venue is a flight of stairs below the popular afternoon-drinks specialist Norfolk Hotel. 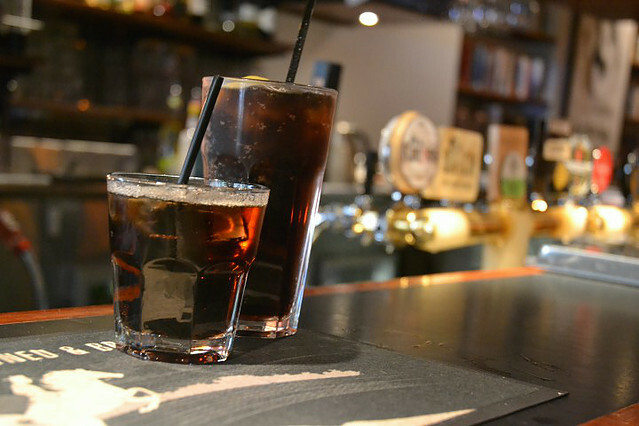 Between the two of them, you’ve got yourself a Saturday sorted in Fremantle. Enjoy the breezy courtyard before heading downstairs for a night of good music expect a good crop of local Perth bands. When visiting a hotel, you like to know that you have booked a safe heaven for the night when away from home, to enjoy a luxury stay at a prestigious hotel, or have fun at a thrilling resort but how did hotels come to be such a big business and why are there so many different amazing and whacky hotels out there? Some of these funny hotel facts have come about by accident, and some were the brainchildren of innovative people around the world. While a place to stay for weary travellers has been available for a long time, dating back many thousands of years, inns in medieval Europe became popular for coach travellers across the continent. The popularity of these places of overnight stay coupled with the local tavern for a place to eat and drink proved so great that the first modern sense of a hotel was opened in Exeter in the UK in 1768. The need spread to much of Western Europe and hotels were opening across Europe and North America during the 17 and 18th century. Governor Phillip licensed 10 of the first hotels in Australia in 1796 and one of these, The Woolpack Hotel in Sydney still remains. What Drives People to Stay in Hotels? The majority of people who stay in hotels do so for accommodation during their vacations, and intend to use a hotel for a base of operations whilst travelling the local area. 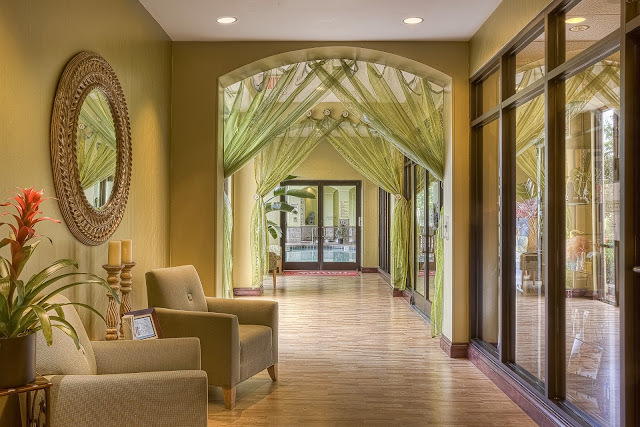 Many people choose hotels based on their location to a particular site in town, offering them easy access to all of the local places of interest. Another big factor of hotels is the hotel resort factor, when hotels aren’t simply just a place to sleep overnight at a given location, they have turned into exciting places that offer their own services, making people want to visit a particular hotel specifically for what they have to offer. 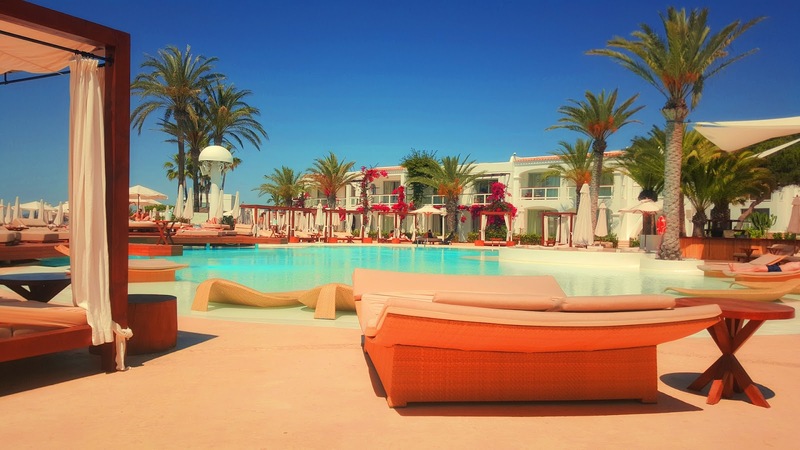 One of the best instances of this is the popularity of spa hotel and resorts. 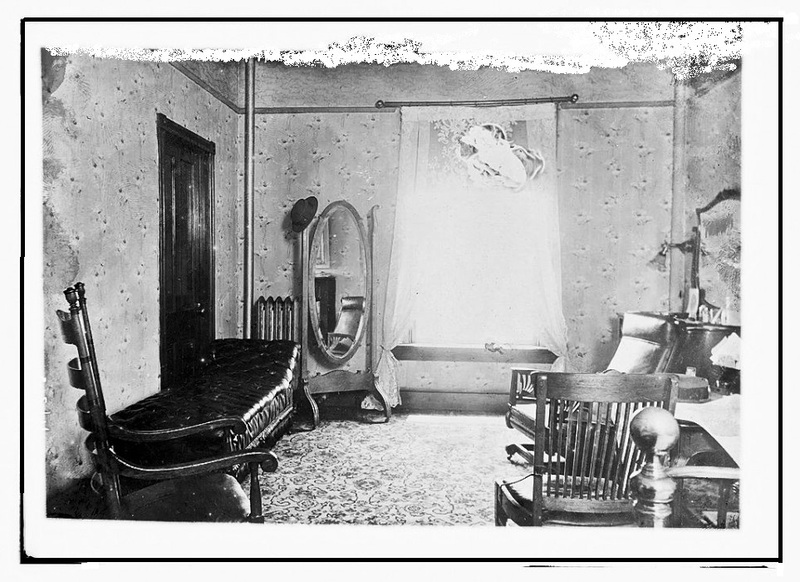 What Drove the Popularity of Hotels? Ever since the first introduction of the idea of hotels started to gain notice amongst the general public, they proved popular for holiday makers and business clients. Early on in the 18th century when train travel and the idea of being able to cover large distances in a single day meant that people liked the idea of spending a few days at a new location. The boom in popularity of hotels continued quickly on and has never looked back. With so many hotels around the world offering unique and amazing locations and experiences, this trend will surely continue thanks to the worldwide travel at lower costs now possible. The range of hotels now available is astounding. You can stay at the base camp of Everest, stay in a luxury 5 star hotel to enjoy all of the comforts you’d expect the queen to have, as well as fun new concept hotels where the walls are made of art work. If you are throwing a party any time soon, it may be a little daunting to find the right theme or decorations to choose to make the night go off with a bang! Your party room decoration ideas don’t just have to be themed around a particular occasion such as a birthday or a wedding party, but will be able to fit in with the type of celebration perfectly with some of these great, simple ideas for your party. Choosing the right venue for your party will be the first port of call when it comes to finding the right party ideas for your event. Your venue will dictate the size of the party and what you intend to do, so ensure that you don’t make it impossible to walk around the room if you have large tables set out, similarly to not having wide open spaces and make your party feel too empty! 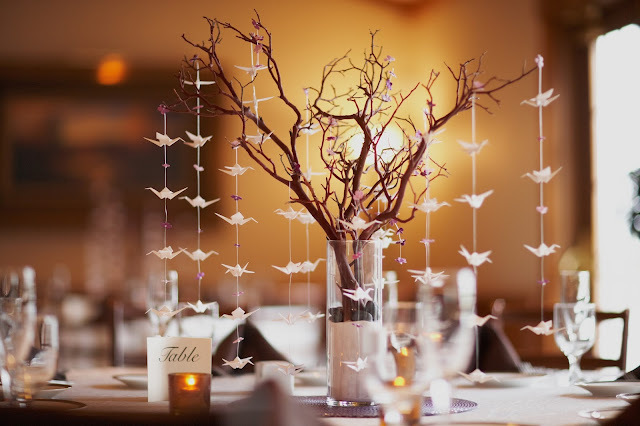 One of the best ways to create something special for your party is to create a centre piece for your party room. This way there is a central focal point on the room and allows everyone to gradually walk around the space that you have and mingle with other guests. Centre pieces can be as simple as a stylish table design with your birthday cake or balloons around it, or a more dramatic centre piece that displays a large indulgent food buffet or drinks stand such as a cascading champagne glass tower. In addition to a centre piece, why not theme your party based around the type of celebration you are hosting. If it is a birthday, why not find the perfect banner displaying a happy birthday message, or create a customise banner message to the birthday boy or girl in question. Think balloons, streamers, flowers, finger food and a special gift table where all of the gifts are stored safely out of the way. If you are hosting a party with lots of music and dancing, then surely the dance floor should take centre stage. Try to arrange a seating arrangement that incorporates the number of people you expect at the party to be able to fully get their groove thing on in comfortable space. Create a small seating arrangement away from the dance floor, and if you are catering the event, make sure there is enough space for the food you intend to have throughout the night. For catered parties, many venues can offer you a separate dining room or eating area which is away from the main venue room. 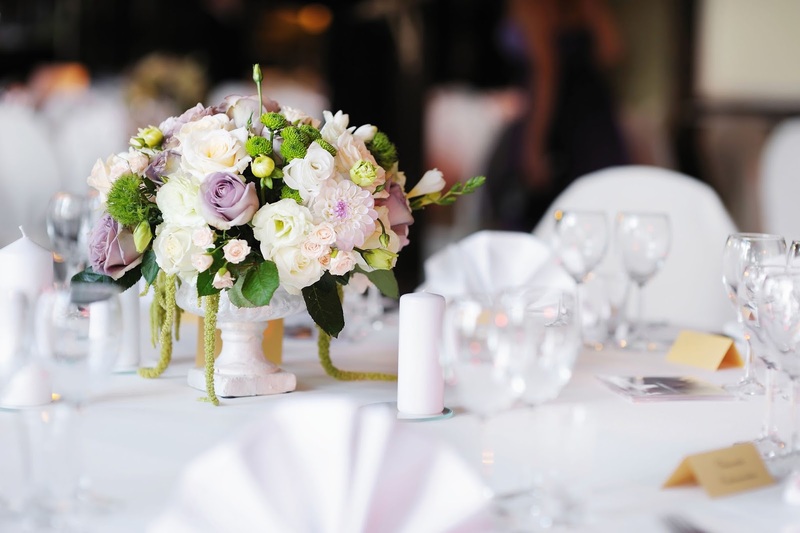 For other dining parties such as wedding reception dining can incorporate the theme of the day and is the best way to provide something special for all of the guests. 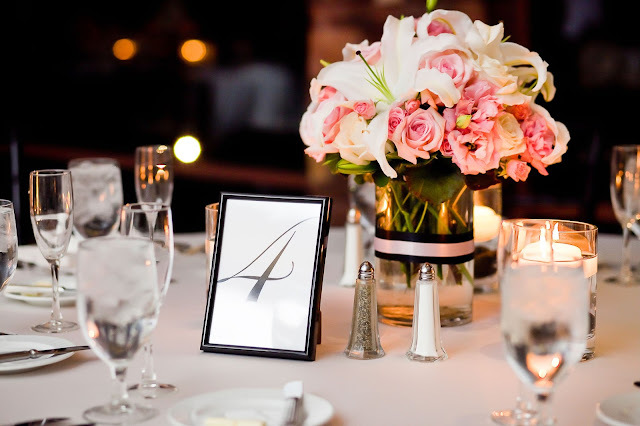 Create beautiful table features and flower arrangements for light dinners, and for evening soirees, why not create a candle lit romantic evening that allows you to offer special table top centre pieces for each table. No matter if you are looking for birthday party ideas, wedding party ideas or just plain simple partying ideas, creating the right atmosphere is vital to a successful night. Create centre pieces in the venue to allow your guests to mingle without the room looking empty, offer seating arrangements that allow the conversation to flow, and provide a large dance floor area for your guests to make this the best party ever! 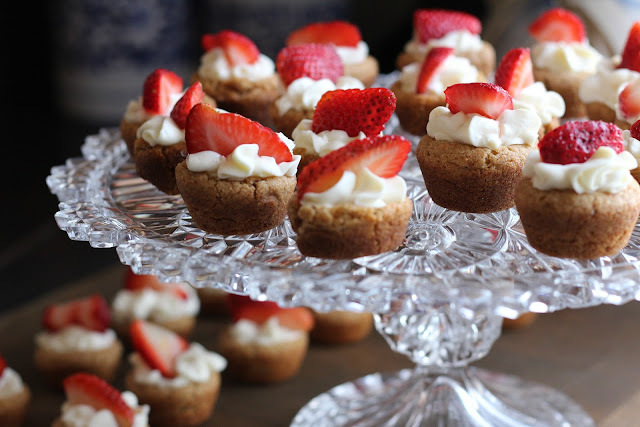 Desserts, also known as pudding or sweets, can encompass a whole range of dishes, the only requirement is that it is the sweet course at the end of many people’s evening meal. Cakes, puddings, fruit, ice-cream and even pastries are all great options and desserts are constantly changing as people experiment with new ingredients and preparation styles. Having something sweet for dessert could actually be a great way to sneak some more fibre into your diet in order to keep you full until your next meal and may actually be physically beneficial in the long run. Having dessert after meal helps to increase the absorption power of the amino acid tryptophan that is present in some food. 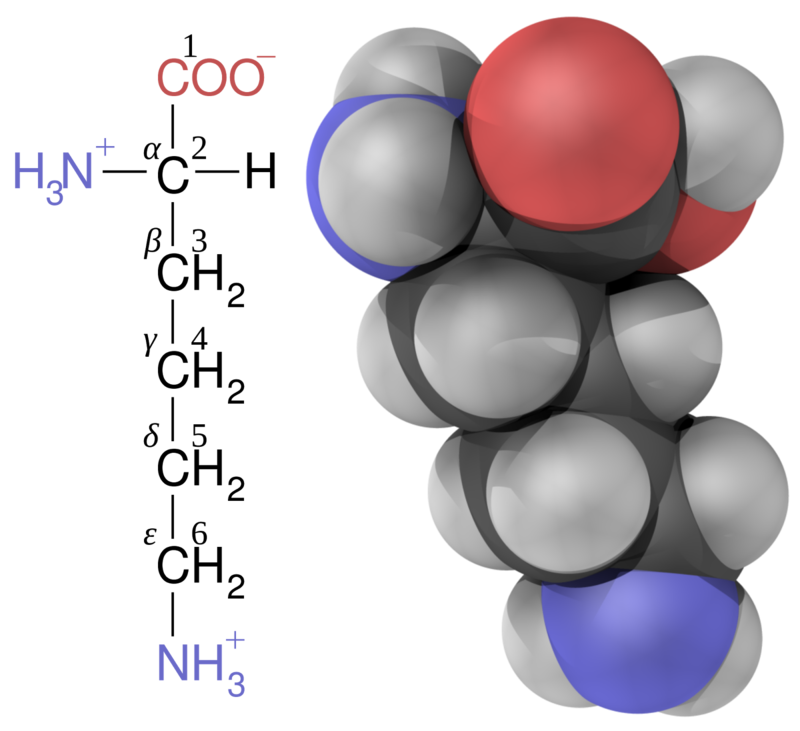 Tryptophan is an essential amino acid in the human diet and is a portion of most proteins. Tryptophan is an essential nutrient in the diet of humans and actually helps give us feelings of well-being. Dessert may also be a good option for us if we have not eaten in a couple of hours and our blood sugar gets low through hunger, sweating, weakness, sleepiness etc. Consuming desserts can help to reduce the symptoms of reactive hypoglycaemia, and for diabetics, something sweet can even save lives. Our body actually needs to have a balanced intake of food every day to create an overall balanced diet. Grains and rice are balanced choices but dairy products like cheese and chocolates or consuming just meat will not provide a complete balanced diet. A good equality of all kinds of food - salty, sweet, protein and fibre, with treats in moderation is what our body needs and is often why we sometimes crave certain foods, and why having desserts can make our meal complete. But there are also some factors to consider for the dessert lovers, as frequent intake of lots of desserts or sweets can be harmful for the body and may lead to gaining excess weight and even developing obesity. 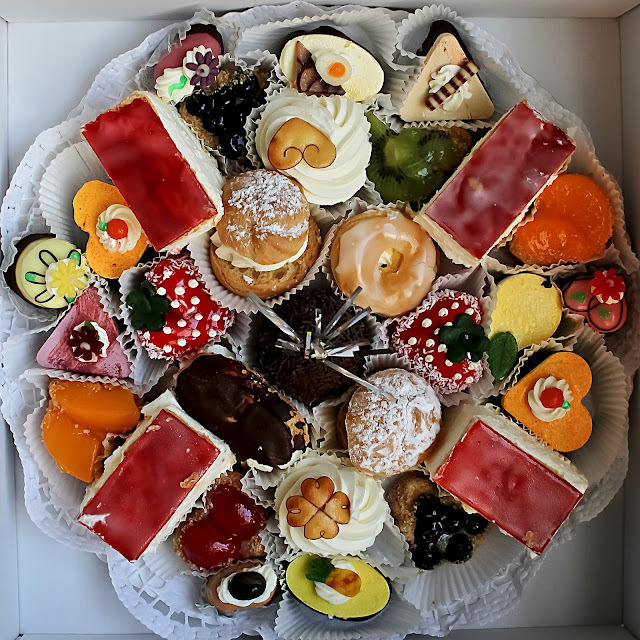 Eating desserts containing large amount of sugar can severely affect the health and body and it’s always better not to have dessert after a complex carbohydrate meal. Whether you are thinking about traditional sweets, cakes and puddings, milk, nuts, fruit or chocolate if you have dessert regularly its best to go for healthy option. The Wembley Hotel in Perth offers healthy, fresh desserts as well as some more decadent treats. Want to know more? Then just give us a call at +61 8 93837488 or visit our website to have a look at the menu before visiting us for your favorite dessert. How to Prepare Pepperoni Pizza Cake in One Hour! Almost all of us have heard the word “PIZZA”. It’s given the first priority whether we are alone at home hungry or hanging out with friends. But have you heard of a pizza in the form of a cake? 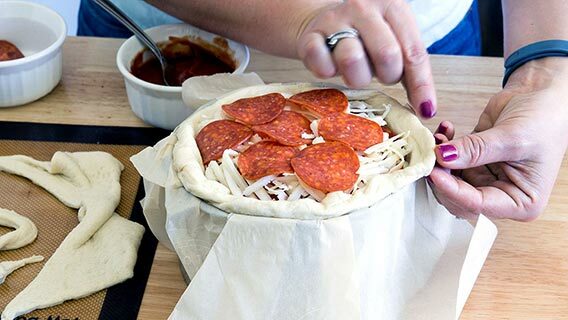 Well, pizza lovers may have already guessed we are talking about Cake Pizza.Today we will show you the exact step by step process of making a Pepperoni Pizza Cake in just one hour! So keep reading. One layer of dough topped with lavish and cheesy ingredients is the conventional form Pizza, but for a Pizza Cake one layer isn’t simply enough. There are several layers one after the other, each covered with pizza sauce, mozzarella and pepperoni. 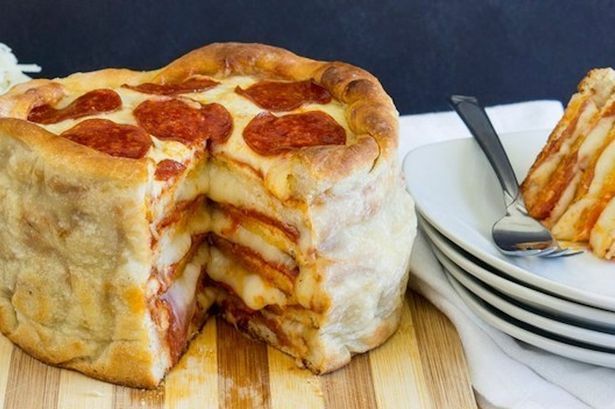 So if you are looking for more cheese and taste in a single bite then a Pepperoni Pizza Cake is an option for you. Though there are more layers in a Pizza Cake doesn’t mean it will take forever to cook. Even you can prepare your favourite Pepperoni Pizza Cake and be eating it in just an hour’s time. Stir lightly and wait until the yeast forms into a foam on the top of the water. After that add the oil and salt and then gradually add flour. 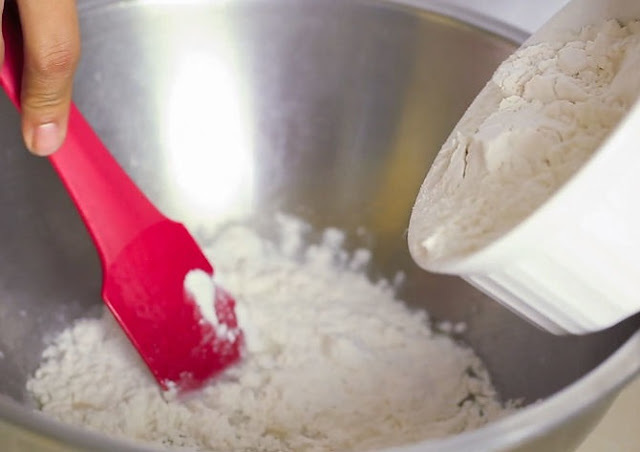 Using bread flour will give you crispier crust but if you are unable to find it then you can use any other flour which will give you softer crust. 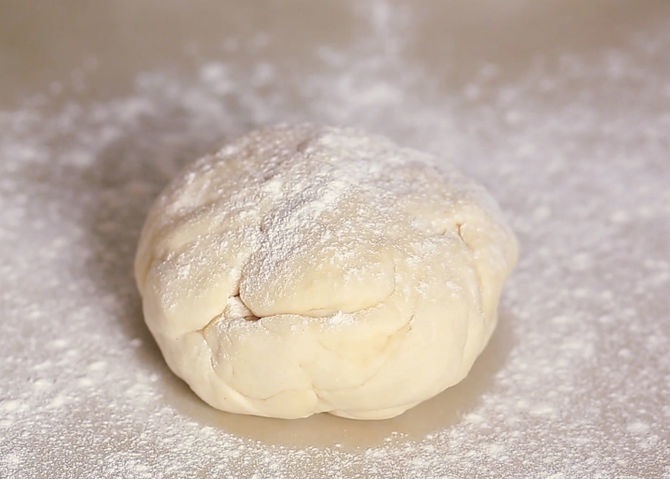 Knead the dough gently to form a ball, if it’s too sticky sprinkle additional flour on as you knead. Grease a large bowl with olive oil, add the dough, and wrap the bowl with plastic wrap and set it aside until the dough doubles in size (approximately one hour). Once it has finished rising place the dough on a flat surface and flour the top of it. 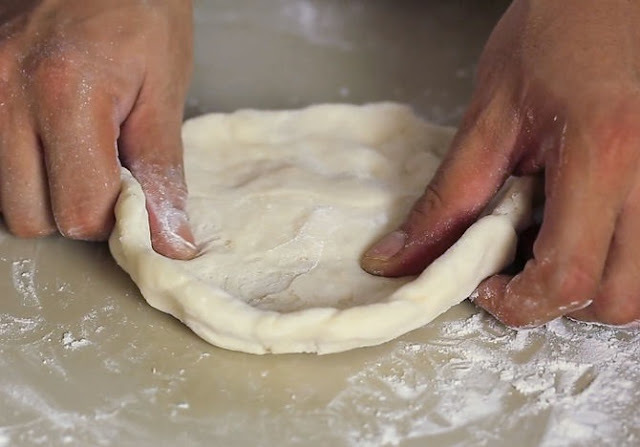 Cut it into round balls and pinch the dough about ½ inch from the edge. 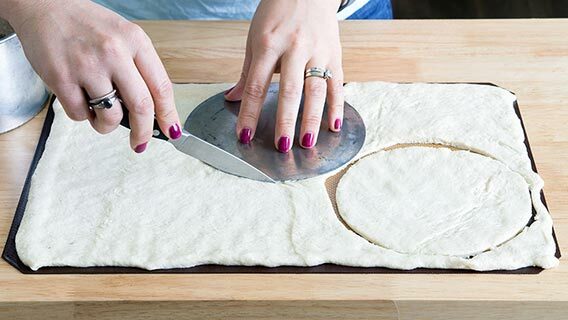 Finally start spinning your pizza as gently as you can with your two fists. After flattening the dough it’s time to cut it into equal round circles. The circles should be wide enough to fit a tall cake pan. You may choose of how many layers your pizza cake is going to be. Preferably 5 or 6. 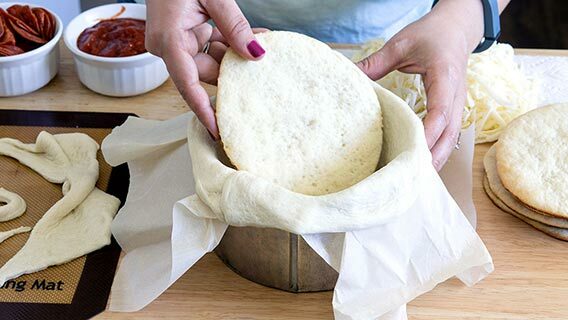 At first carefully drape the first portion of pizza dough inside the pan. Start layering your pizza cake by spreading pizza sauce, mozzarella, pepperoni and butter followed by another dough circle until you reach at the top of the pan.At the top create a crust with some dough by rolling it over on the top layer of the pizza, and remember the top layer of the cake should look like a pizza, it should have a raised crust and must be topped with delicious toppings. Finally bake it for 20 to 25 minutes or until the sides of the pizza are fully cooked.Now your Multi Layered Pepperoni Pizza Cake is ready to be served! If you have followed up to this point, well done! You now have your very own pizza cake. Make sure you share your attempts with us at the comments section! 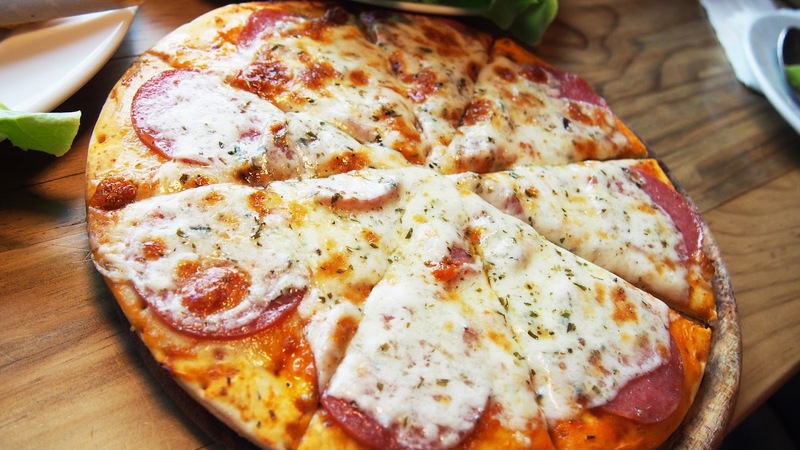 At The Wembley Hotel we are a big fan of pizza and serve our customers many of our own variations like Tiki, Diana Ross, Greek God and heaps more.Thanks for reading and good luck on your Pepperoni Pizza Cake making. An engagement party is one of the most wonderful parties one can attend. With proper planning, throwing a fantastic engagement party is about as simple as saying "I do!”. Check out these five tips which might help you plan yours. It's best to do things the way you want them, especially if they involve matters of the heart. There will be plenty of people with plenty of advice but you will be the best judge of what will suit you best. A lot of couples face most of the challenges during their engagement party planning. If something difficult to cross comes along the way, don't give up. Sit down, take some time and think it over. That's why it's best to plan an engagement party at least six months before you throw it. That way, you'll get plenty of time to cross the hurdles successfully. 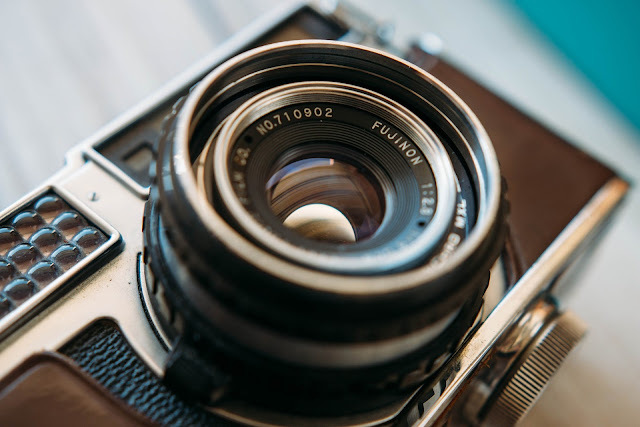 If you plan on capturing the most beautiful moments at your party to look back on, you need to hire a good photographer to capture the memories for you, unless someone decides to come forward and take the responsibility for free! Take people's suggestions on this. Since there is a world of photographers out there, picking one can be quite daunting. Asking your friends, relatives or someone reliable to pick one out for you can be a wise thing to do. Picture how you want the place to look like. Do you want heart shapes all around? Or do you want both love and humor to surround you? You also don't want to go and overdo things. Keeping it simple and classy is the best thing to do. Plan things out with your partner. You might share a lot of things in common but there could be differences in a few things here and there that are being overlooked. Flush out the opposites and merge the similarities to create a wonderful set up. 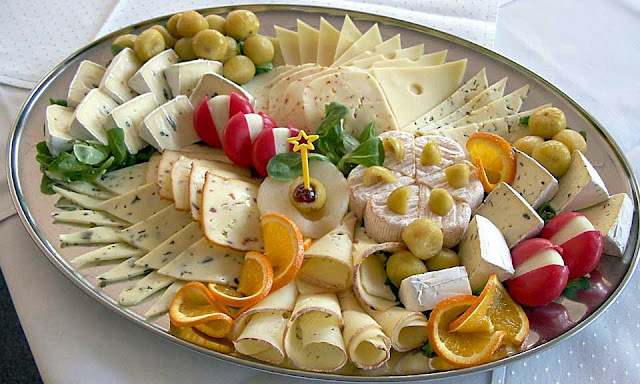 If you want your guests to be comfortable and have fun at your party, you need to focus on the food and service. Picking a reliable place with a range of rooms to choose from is usually a good way to go by since the staff are likely to be experienced and friendly. A fancy place with a fantastic menu is a must if you want your party to rock! You could go over to the venue, have a chat with the manager or the staff and see whether the place would be suitable for your party. Without a toast, a proper engagement party is never complete. The nuptials need to be given their deserving respect with a heartfelt toast. Typically, the parents or someone important gives the toast and they need to be asked whether they would like to give the toast. Courtesy is important. 1. Modern Pizza evolved from similar flatbread dishes in Naples, Italy [or according to recent studies even further north] between the 18th and 19th century. 2. The bottom of the pizza varies according to the style. The thin hand-tossed New York-style is usually preferred to the thick Chicago-style one. 3. People usually consume around 251,770,000 pounds of pepperonis every year and in a typical pizza eating session, an adult consumes about 744 calories. 4. 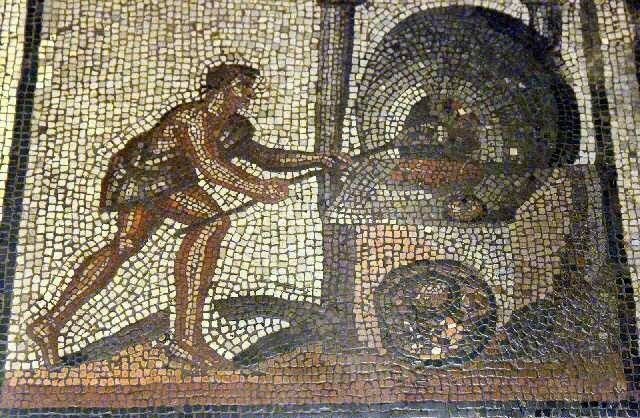 The word 'Pizza' first appeared in 997 AD and the text stated that a tenant was supposed to give the bishop of Gaeta "duodecim pizze" or twelve pizzas every Christmas day and 12 more on Easter Sunday. However, those pizzas weren't like the ones we know of today. For starters about how they were different - they didn't have tomatoes on them. 5. The most expensive pizza in the world costs around $12,000 and you can order it from Pizza Louis XIII. When you do, the whole preparation will take place at your house and chef Viola will be there himself. However, this pizza is only 8 inches in diameter. 6. Over 5 billion pizzas are sold worldwide each year. 7. 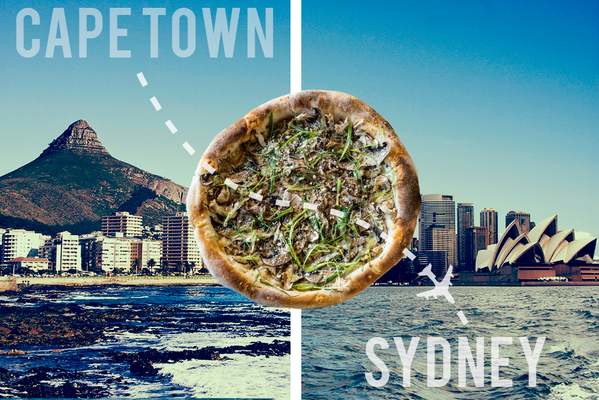 The longest pizza delivery was from Cape Town, South Africa to Sydney, Australia. 8. In Italy, there is a bill to protect the traditional Italian Pizza which specifies the permissible ingredients and methods of processing. Pizzas which are made following the guidelines and abiding by the rules mentioned in the bill, can be referred to as "Traditional Italian Pizzas". 9. Joey Chestnut holds the record for eating the highest number of slices in 10 minutes. He ate a whopping 40 slices. Whether that was admirable or disgusting is for you to decide. 10. The largest pizza box in the world is 54 square inches and the average pizza sold today is around 14 inches in diameter. 11. Each person eats an average of 46 slices of pizza every year. 12. 62% of all pizzas consumed have meat. The world's largest round pizza is 131 feet in diameter and gluten free. This was made in Italy (obviously) and was made using a 51,257-pound pie containing 19,800 pounds of flour, 10,000 pounds of tomato sauce, 1488 pounds of margarine, 8800 pounds of mozzarella cheese, 551 pounds of rock salt, 55 pounds of vinegar and 220 pounds of lettuce. 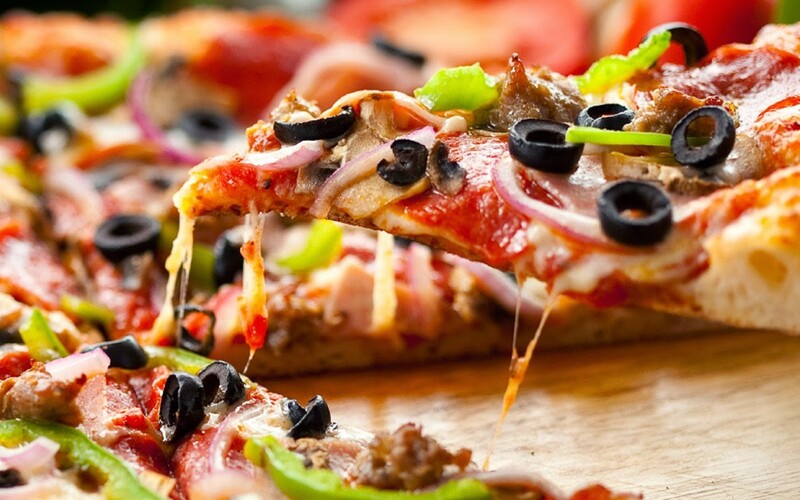 Now that you have finished reading the article and are having a strong carving of a slice of pizza with a cold beer, you can just stop by at our Wembley Hotel and try our mouthwatering pizzas with a mud full of beer! If your conference or meeting room doesn't contain the essentials to impress, your presentation or the event in general might be lacking than what it otherwise would. So take two steps back before you jump to conclusions which tell you not to take heed of what might be good for you. 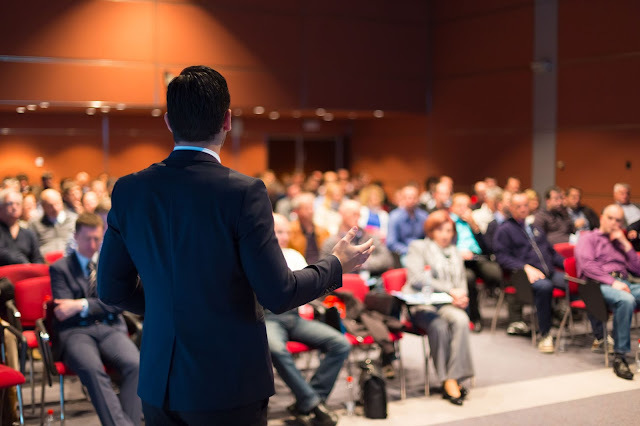 Conferences and even small meetings need to be planned out properly in order to be efficient and worth the time. If you are presenting, it’s important to create a good impression of yourself that can support the points you are making and the things you are saying. The basis of judgment will depend on everything from how you carry yourself, to the clothes you are wearing, etc. Credibility and reputation is what it comes down to. How comfortable the other people are while sitting through hours of lecture is far too important to ignore. So here are a few pointers to help you ace that meeting! If you're not using multimedia for your presentation, you probably should be. Some people think it cramps their style, however the fact is that it will keep people interested long enough for you to get your point across, provided you present it in the right way. So hiring a place that has the technology readily available in place is a must. Most conference halls and meeting/function rooms will have these features available as standard. We’d advise going through a test run prior to the presentation, just to make sure everything’s working properly. The last thing you want is a technical fault mid-presentation. When the going gets tough, the tough gets going, old saying, new implementation. If you're planning to keep those people listening to you, then you've probably thought of making arrangements to appease their hunger. Usually, conference venues that double as a restaurant are a good option, saves you having to get a caterer in as the food’s all taken care of in-house! In the end of course, it’s you that will make a presentation successful. The external factors certainly help you create the proper impression but if your presentation is lacking, that’s what people will remember. So make sure you do ace that part! A great place, great confidence and substantial material are key to success. All in all, you’ll have to keep your mind open, reason out what you’ll have to do for good go and believe in yourself for a home run!